Chairman of the Ho Chi Minh City People’s Committee Nguyen Thanh Phong gave a reception for newly-accredited Lao Consul General Phimpha Keomixay on March 28. The city official highly valued the sound development of the traditional friendship, special solidarity and comprehensive cooperation between the two countries in all fields. Vietnam is among three biggest investors in Laos with 109 projects worth more than US$ 4 billion, contributing to strengthening bilateral economic and trade ties. 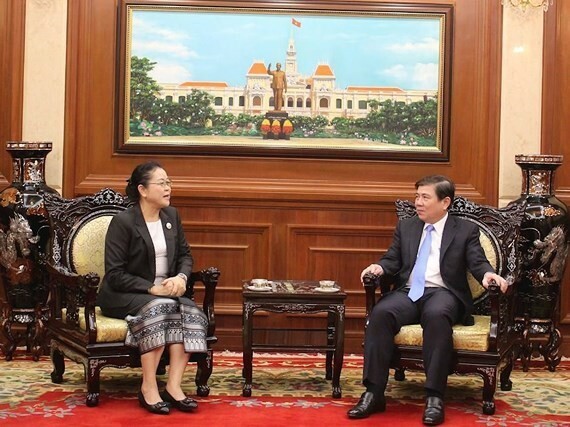 Phimpha Keomixay affirmed during her term of office in Vietnam, she will further promote cooperation programmes between Lao localities and HCM City, especially in economy, trade, education and culture. She thanked city leaders for their continued support to Lao students who are studying in the city. 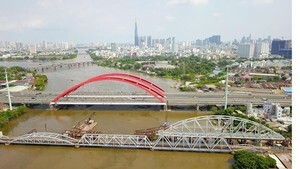 The new Binh Loi railway bridge in HCMC is expected to be put into operation in June 2016 but inauguration time then delayed till November 2018. Recently, the project’s investor has proposed to adjust the deadline until 2020.